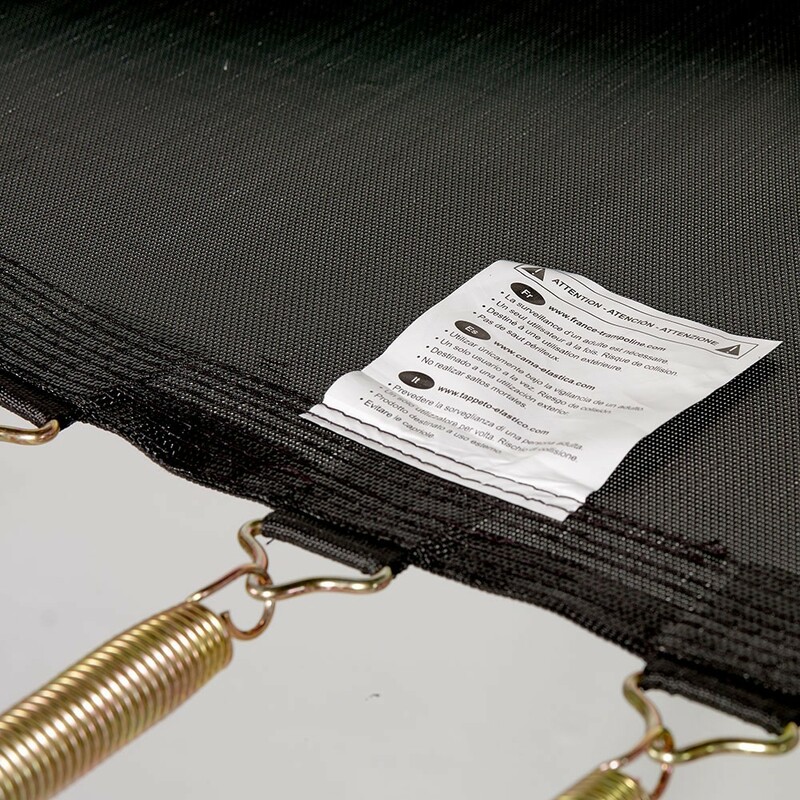 Replace your 8ft / 2.50 m outdoor trampoline if you already have the safety enclosure. 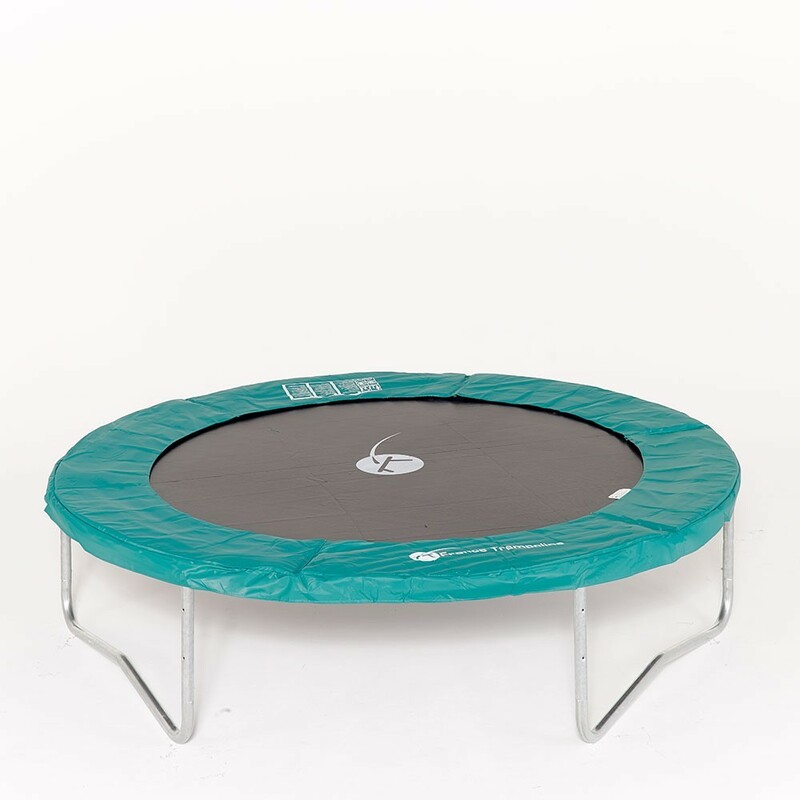 After providing years of fun and enjoyment, the time has come to replace your old trampoline with a Ø250 children's trampoline, while re-using your current safety net to avoid the extra expense. 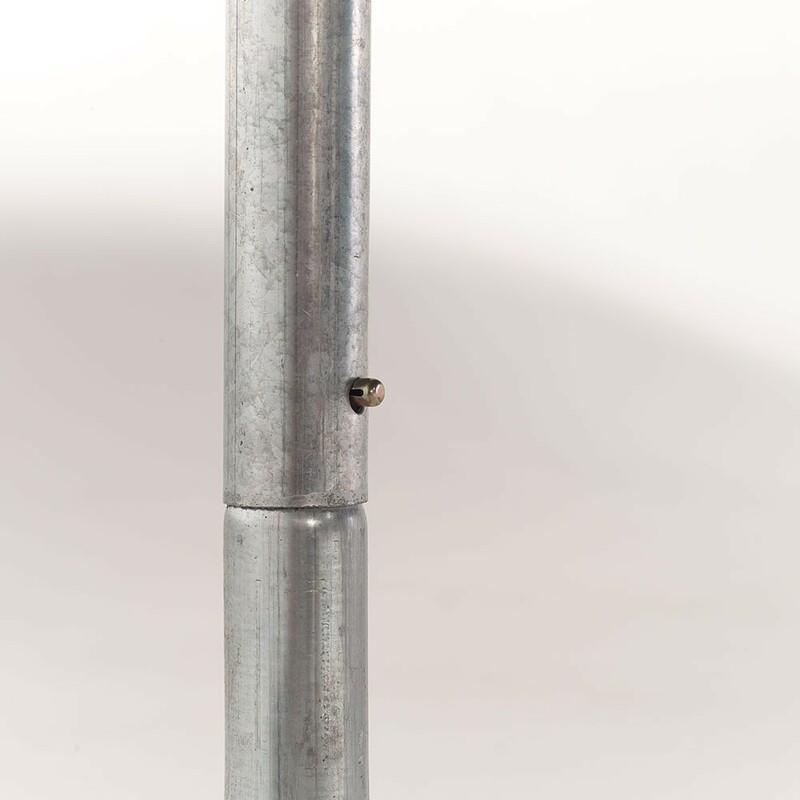 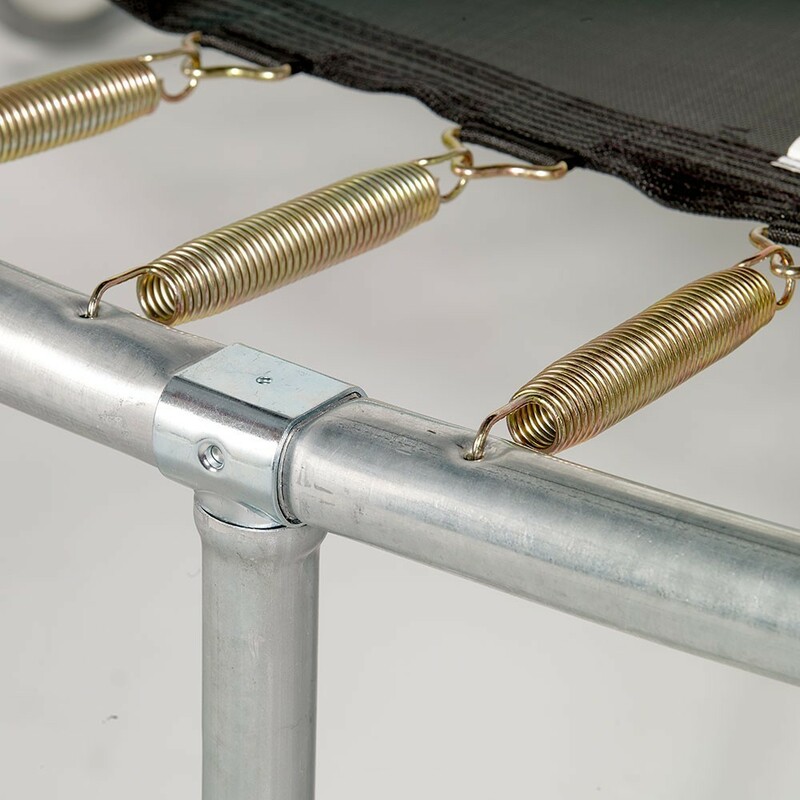 - If your safety net has 6 net posts that are fastened with mounting brackets to your current France Trampoline or any other brand of trampoline, then France Trampoline's outdoor Jump’Up 250 is compatible with your safety net. 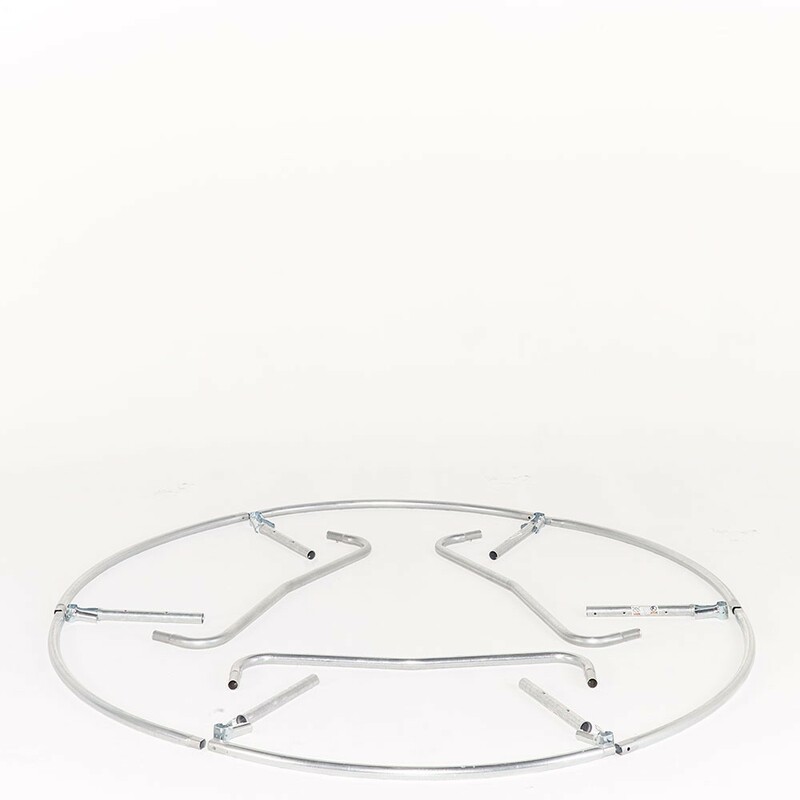 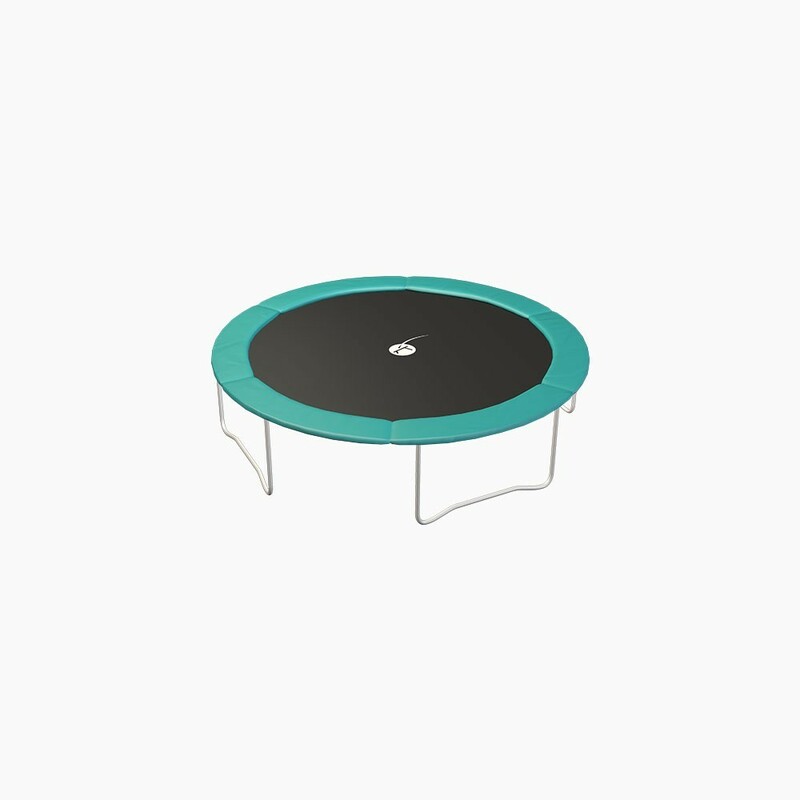 - The outer diameter of this quality trampoline measures 2.44 m. Its frame is made of hot-dipped galvanized steel, and can withstand a maximal weight of 120 kg. 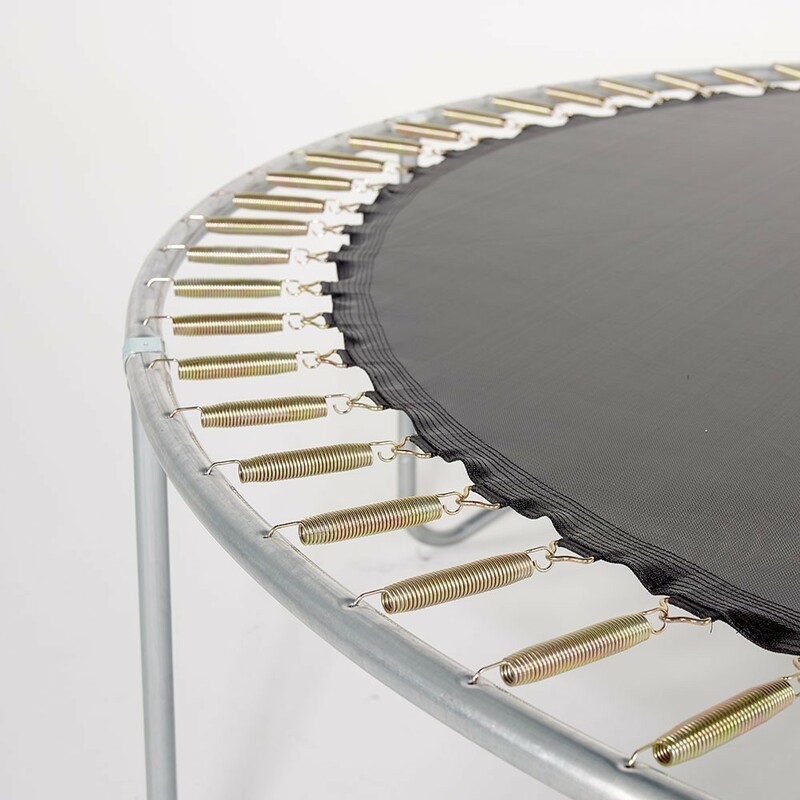 - With its 48 corrosion-resistant springs, the Jump’Up trampoline is ideal for family use. 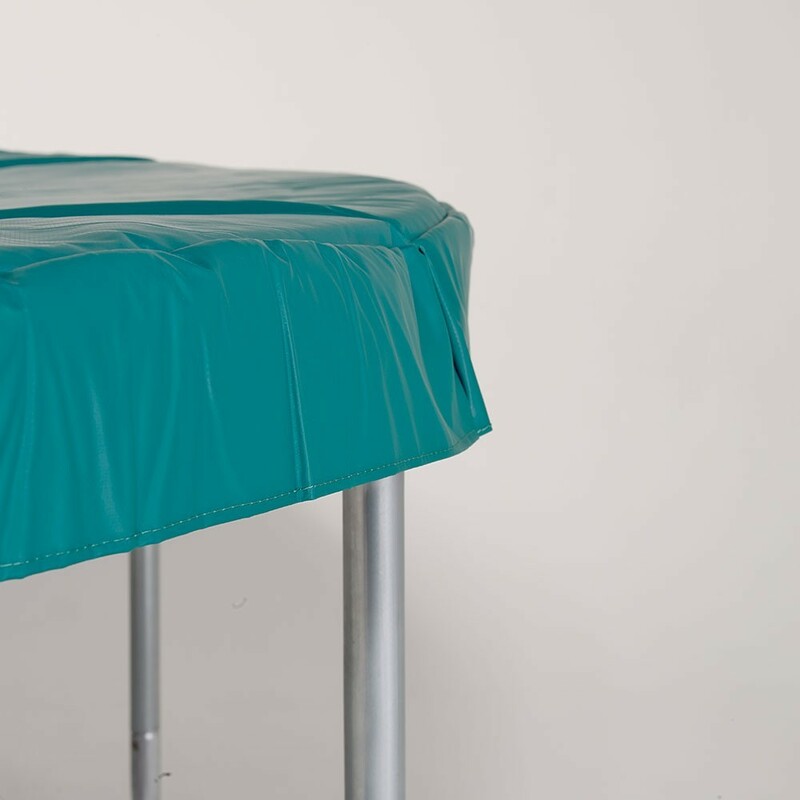 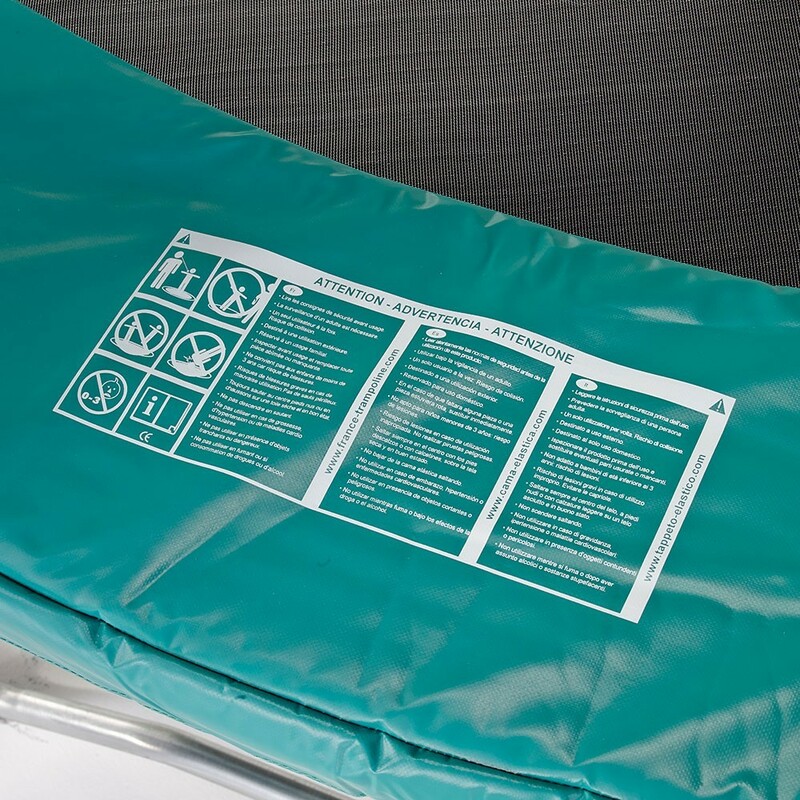 - The jumping mat's fixations are reinforced with 8 rows of stitches, and a reinforced strap under the mat prevents tearing. 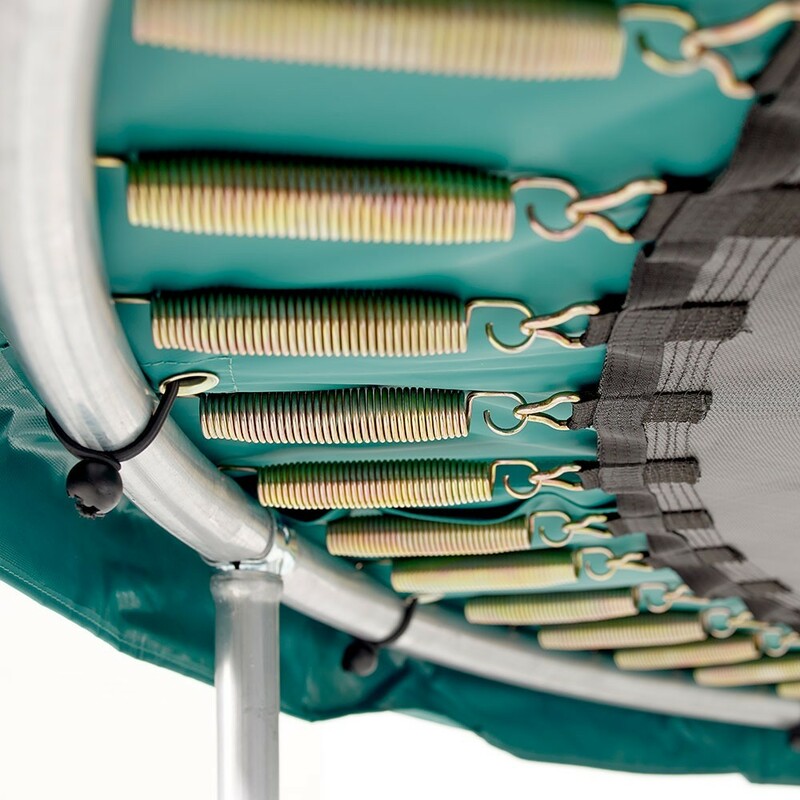 - The springs are completely covered by a safety pad made of one single piece of foam, and encased with UV-resistant PVC.